In 2018, over five million people had money stolen from their bank or credit card due to an instance of fraud. More than a quatre of those took place online, with payment transactions being the weakest link. There are huge risks involved in electronic payments and internet banking, but taking the necessary precautions to ensure your details are safe and secure can help prevent against online fraud. There are a number of ways in which you can secure your online transactions, but here are some of the safest and most tested. This is a common user error which can lead to a fraudster accessing your information. But what is a secure connection? Well, regular internet users will be familiar with https:// which is a secure connection. However, if your URL starts with HTTP:// then your network is not secure. Top tip: don’t pay, send, or access your internet banking on a public Wi-Fi network. It goes without saying, always check the merchant’s feedback before purchase. The truth is, when it seems too good to be true – it most probably is. If a company is without any 5-star reviews then there’s a reason why. This is probably the most important of all the safety precautions to take when making a transaction online. When choosing a password for your online accounts, make sure you use uppercase and lowercase letters, numbers, and symbols if the website allows you too. Harder to guess passwords make it tougher for fraudsters to access your information. When asked for security questions and answers, provide the website with false information that doesn’t link to you personally. Furthermore, avoid using the same username and password for all of your online accounts. Changing your password every three months is also advised and can prevent your account from being hacked. Malware, spam, and spyware are all types of software that can damage your computer. The latest security software is designed to protect your computer from these harmful types of software attacking your files. A lot of the modern day antivirus software has an auto-update feature which will automatically upload the latest security features. But when choosing an antivirus programme, make sure that it is able to detect newly created and mutated malware threats. Using ad-blocking software when browsing the internet can also prevent fraud, so too, can running regular virus scans. 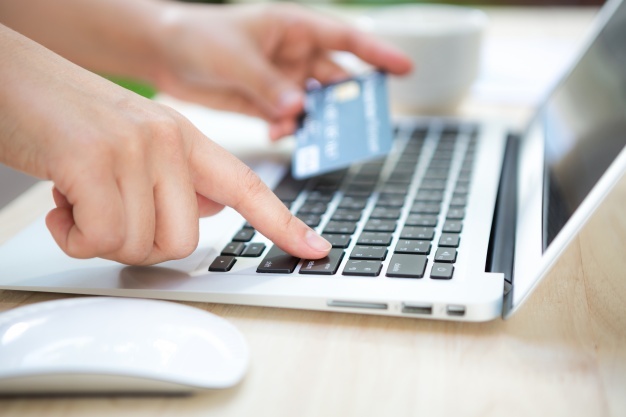 When you purchase an item online – keep a record, and compare it with the information on your monthly bank statement. If anything looks off, report it to the issuer of the card immediately. Another thing worth mentioning is that for online purchases, use only one card to limit the exposure of fraud and theft. Furthermore, learn about what your card offers when it comes to fraud and liability protection, and learn what the dollar limits are for your fraud protection coverage. Computers nowadays have a tendency to remember usernames and passwords, which is something that payment savvy users might be familiar with. And while this can be useful for websites that don’t hold any personal information, avoid doing this for internet banking apps and merchants websites. First things first, look out for the things I mentioned regarding secure network connection and always remember to check that your connection is secure before making online transactions. Being payment savvy and keeping your personal information safe using things such as the latest firewall software will help prevent online fraud. Above anything else, if you suspect your card or personal information is being used without your permission, immediately contact the major credit card fraud team. Do you agree with my tips for secure online transactions, or have I missed out an important piece of information? Please, feel free to leave your thoughts in the comment box below.